Although it will not be officially 'launched' until Saturday, October 24, the latest CD album from Wingates Band is now available for immediate sale. 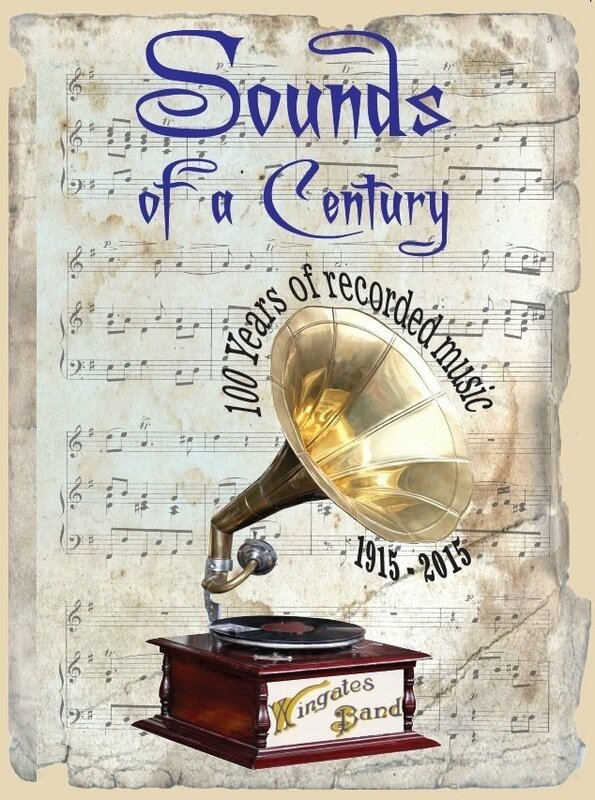 The album, entitled 'Sounds of a Century', has been produced to celebrate a remarkable achievement by the band – namely 100 years of recording their magnificent music – a landmark previously reached by only three bands in the world. 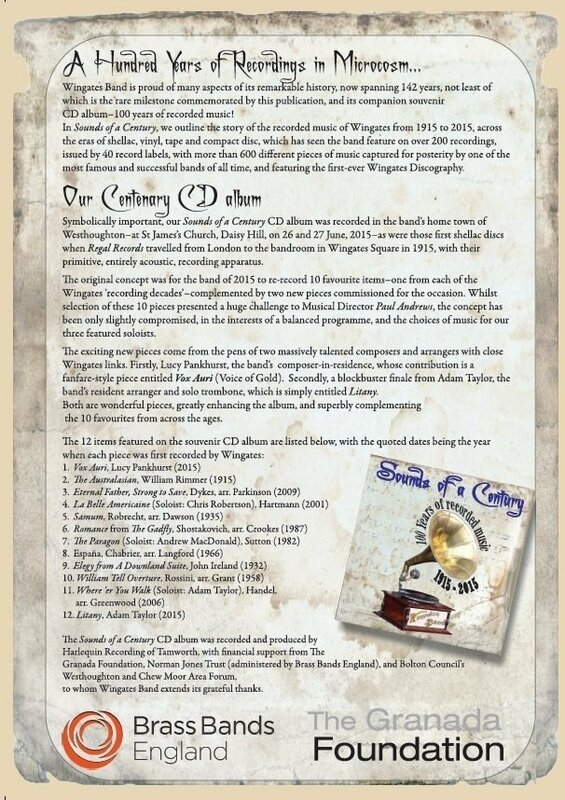 A 'companion souvenir' to the CD is a new publication, fully illustrated in colour – also now available for sale – under the same title as the disc, which tells the fascinating story of the band's recording history, and which incorporates the first-ever detailed Discography of all Wingates recordings since 1915. Press Release, 14th October 2015.